The US Food and Drug Administration has issued warning letters to two feed mills — Gilman Co-Op Creamery in Gilman, Minnesota, and Farmers/Ranchers Cooperative Association of Ainsworth in Ainsworth, Nebraska — that sold mixed horse feed containing monensin, an animal drug approved for use in cattle, swine, and poultry, which is highly toxic and potentially lethal to horses, even at relatively low levels. These firms did not adhere to the Current Good Manufacturing Practice (cGMP) requirements for medicated feed mills, which firms to conduct appropriate sequencing or adequate equipment cleanout procedures when switching from mixing a medicated animal food to a non-medicated one. These regulations are designed to prevent unsafe cross-contamination between medicated feed and non-medicated feed or other medicated feed. In July 2018, the FDA alerted the public about an ongoing investigation into Gilman Co-Op Creamery related to the deaths of multiple horses after consuming feed from a single batch of a special order horse food that was supposed to be non-medicated, but was later found to contain monensin. When inspecting the firm, the FDA found significant deviations from cGMP regulations for non-licensed medicated animal food manufacturers. Among the violations was a failure to establish and use adequate procedures, including cleaning, for all equipment used in the production and distribution of medicated feeds, as well as inadequate record keeping and insufficient procedural documentation. Farmers/Ranchers Cooperative Association of Ainsworth recalled horse food in November 2017 and swine food in May 2018 after samples collected and tested by the Nebraska Department of Agriculture revealed that the horse feed contained monensin and a swine feed contained, chlortetracycline, a new animal drug. Both the swine feed and horse feed were labeled as non-medicated. An FDA inspection in May 2018 also documented significant deviations from cGMP regulations for non-licensed medicated animal food manufacturers, including the failure to investigate and take corrective action after being notified of the state laboratory results finding monensin in the horse feed. Monensin contamination of horse feed is an infrequent but persistent issue, often causing deaths of multiple horses. These incidents of monensin toxicity should be a reminder to all feed manufacturers making medicated feeds that they must remain vigilant about adhering to cGMP requirements by eliminating unsafe carryover of medications into feed intended for different species. 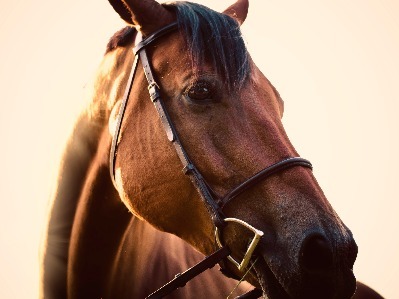 The FDA urges people who think their horses or livestock are ill from consuming adulterated food to immediately stop feeding the suspect food to any animals, regardless of whether they show symptoms, and to contact a veterinarian. Horse/livestock owners and veterinarians can report complaints about potentially adulterated feed and other animal food products electronically through the Safety Reporting Portal or by calling their state’s FDA Consumer Complaint Coordinators. Click here to read the full FDA alert and to access attachments.